Charles Pelot Summerall was born in Blounts Ferry, Florida, on 4 March 1867. He was commissioned a second lieutenant and assigned to the 1st Infantry before being sent to the 5th Artillery a year later. In 1899, he was made a first lieutenant and fought against the Philippine insurgents. From 1900 to 1901, he was a officer with the China Relief Expedition. In 1901, he was promoted to captain and assigned to the 106th Coast Artillery Company; later that year, he married Laura Mordecai. Summerall commanded Fort Lawton from 1901 to 1902, and Fort Flaglerfrom 1902 to 1903. From 1905 to 1911, Summerall taught at West Point. He was promoted to major and commanded the field artillery of the Maneuver Division at San Antonio, Texas. From 1915 to 1917, he was assistant chief of the Militias Bureau and led the National Guard artillery. He was promoted to lieutenant colonel, colonel and brigadier general in the National Army in 1916, 1917, and August 1917, respectively. He commanded the 67th Field Artillery Brigade and the 1st Field Artillery Brigade in the First World War. Promoted to major general in the National Army, he fought at Cantigny, Soissons, St. Mihiel, and in the Meuse-Argonne operations in 1918. Summerall was a member of the American Peace Commission in 1919. Afterwards, he led the 1st Division until 1921, the Hawaiian Department until 1924, and the Eighth and Second Corps Areas from 1924 to 1926. He was promoted to brigadier general in the Regular Army in 1919 and major general a year later. 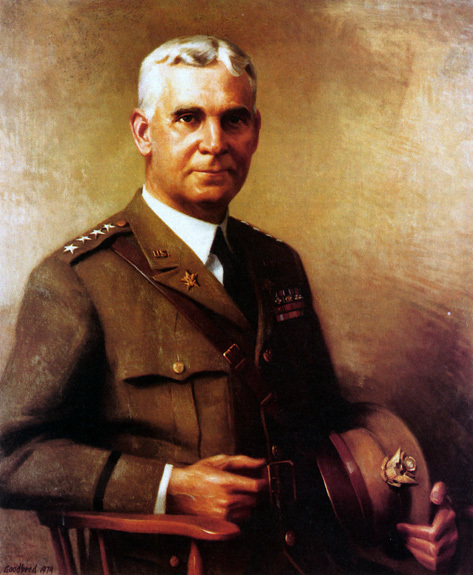 Summerall served as Army Chief of Staff from 21 November 1926 to 20 November 1930. In 1929, he received a promotion to general. He retired from active service in 1931, and served as president of The Citadel in Charleston, South Carolina, until 1953. Summerall died in Washington, D.C. on 14 May 1955.